Brick and mortar retailers are constantly presented with unique challenges. When not finding new ways to compete with online retailers, shops still have to compete with other shops. 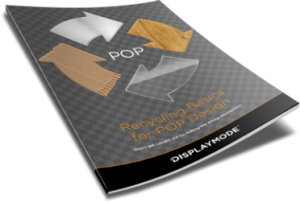 One of the keys in that competition is the effective use of point-of-sale and point-of-purchase displays. Most smart retailers know to look for advantages that offer the best overall value. The Reflex can provide that value by offering a durable, inexpensive solution to get a marketing message across. And that solution can both drive sales and increase customer loyalty. Studies continue to show that a key to converting sales is a simple and clear message. Your display needs to quickly tell your customer what they are buying and why they should buy it. There should be no confusion over promotions or price. And perhaps most importantly, they should be able to move to the next rail over and experience the same clarity. It's also important to remember that the sign is not the product to be sold. It is a cost-effective salesperson that directs the customer's attention to the real star, which is the product itself. The versatility of the Reflex gives your shop the ability to project a clear, consistent message and enhance the customer experience. Remember the first time you saw a car get their side mirror bumped and instead of breaking off it simply bent backward? A simple yet elegant solution. This bend-but-don't-break philosophy is at the core of the Reflex's durability and longevity. 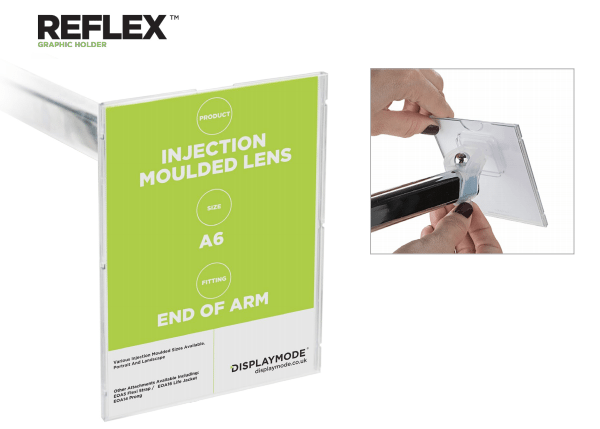 With many shops having to fit a lot of products in narrow aisles, the Reflex will protect your displays from damage. It achieves this by providing a flexibility that allows it to bend and snap right back to its proper position. This also means you won't be replacing your display holders as frequently, leading to additional cost savings. Message consistency can be realised by taking advantage of display products that are adaptable. The Reflex allows you to change and update displays whenever necessary. It also fits on 98% of arm ends, so it can be utilised in a large variety of applications. 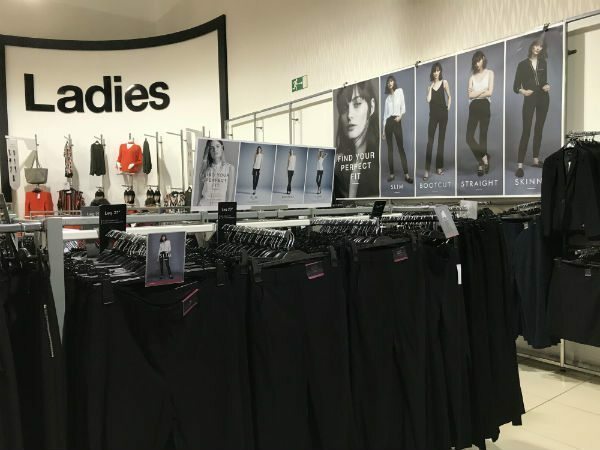 Because in-store marketing follows many of the same rules as other forms of brand marketing, the importance of a consistent message cannot be understated. To illustrate this, LucidPress has found that presenting a brand consistently makes it 3 to 4 times more likely to be recognised. Done well, this consistent branding effort can lead to a 23% revenue increase. In much the same way, a clear and consistent message throughout your store builds customer trust in the products you sell. Of course, none of this actually matters unless your message is in the customer's view. A study conducted by FedEx showed that 68% of consumers will purchase a product if a sign catches their attention. All of the attributes of the Reflex work towards this goal. You can give customers a memorable experience through creative displays. If the first one doesn't work well, you can easily slip it out and perhaps try something more eye-catching. Customers can be fickle. That's not an insult to them; customers should be fickle. They aim to spend hard-earned money and thus expect quality and value. For some consumers, loyalty changes with price, and it's as simple as that. But for an ever-growing portion of the market, clarity and consistency will be key to keep them coming back. Using the Reflex in a clever, clear, and consistent manner will drive your sales by improving the customer experience. Contact us today by calling +44 (0) 1536 460805 to request a free sample box, or click on the graphic above.